Today’s homify 360° discovery gets 10 out of 10 for location, as it provides breathtaking views of the vast ocean, regardless of whether you’re relaxing in the living room, munching at the dining table, pouring some wine in the kitchen, or enjoying some fresh sea-breeze air on one of the balconies or terraces. 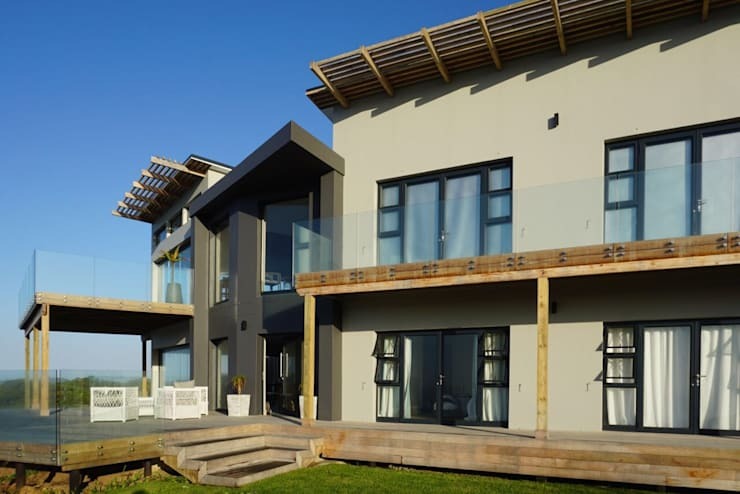 Sergio Nunes Architects deserve the credit for this R8 million stunner – let’s take a look! This project saw an extensive addition and alterations being done to an existing house. Internal re-planning made the spaces more functional and pleasant to occupy. A new roof structure extends over the main façade and softens the building’s silhouette against the sky, and renders the home more approachable from the street. The various parts of the house were treated differently in terms of height, scale and colour in order to create a hierarchy and lend a more human scale to the composition. Large fenced timber decks link the inside and outside through generous openings that expose the inhabitants to an endless ocean horizon. 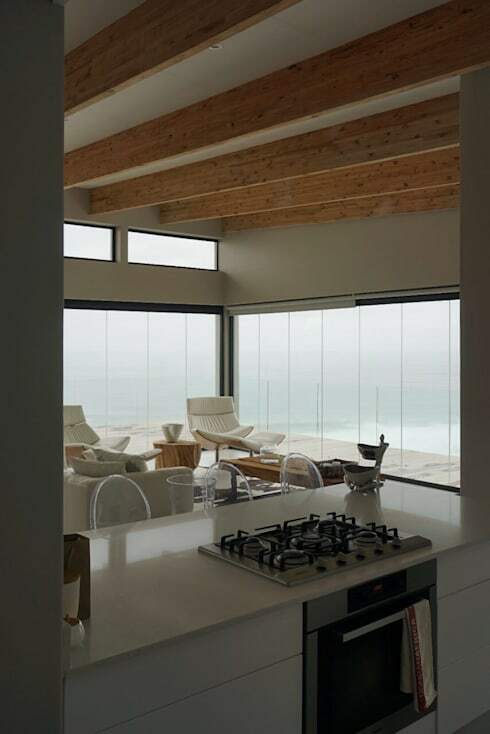 We bet that this view will make any tedious kitchen task much more enjoyable! With a peninsula separating the kitchen from the dining room and living room, the kitchen also gets to bath in a delicious amount of natural light filtering indoors thanks to the generous glass doors and clerestory windows. Of course such a calming view needs an appropriate interior style, and we think the light neutral colour palette, eclectic furniture and minimalist approach to décor works just perfectly! 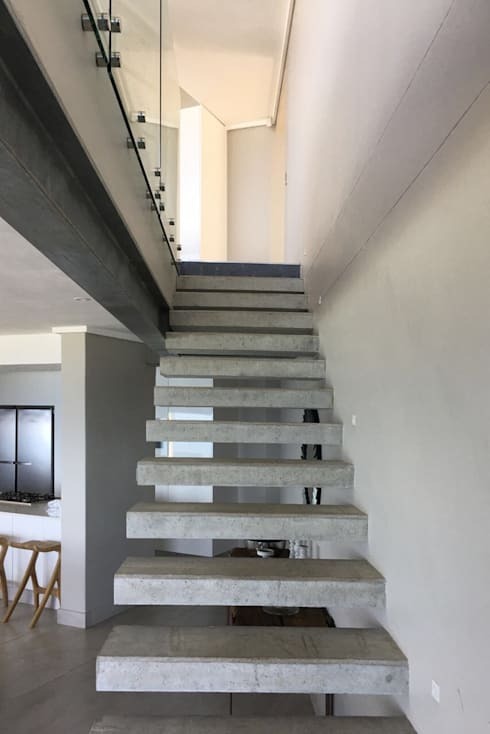 You know a genius was at work when the staircase is not only an in-between bit which connects two floors, but becomes a focal piece in itself – this floating open riser in richly textured concrete is the perfect combination between modern elegance and industrial beauty. Plus it leaves some space open underneath, which means more excuses for furniture and décor! Think this was a scene-stealer? 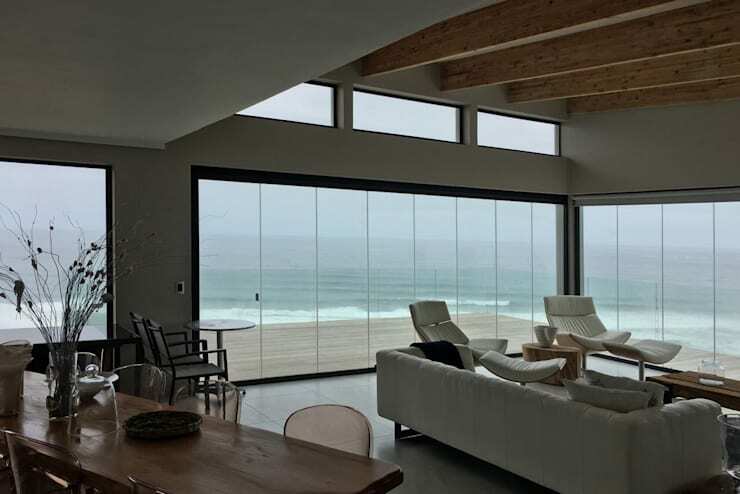 Wait until you see The ultimate South African beach house.